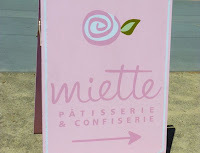 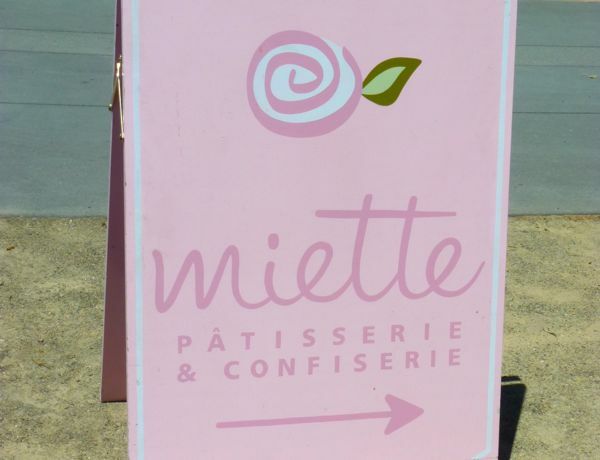 I'm glad I did, as I walked by the train station, and discovered Miette Bakery's Oakland location, where I was able to gaze at glass jars of macarons and a wonderful selection of chocolates. 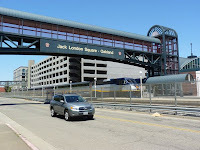 Also, I had another opportunity to pass the historic buildings commemorating American writer, Jack London, and his life and times in Oakland, Alaska and elsewhere. 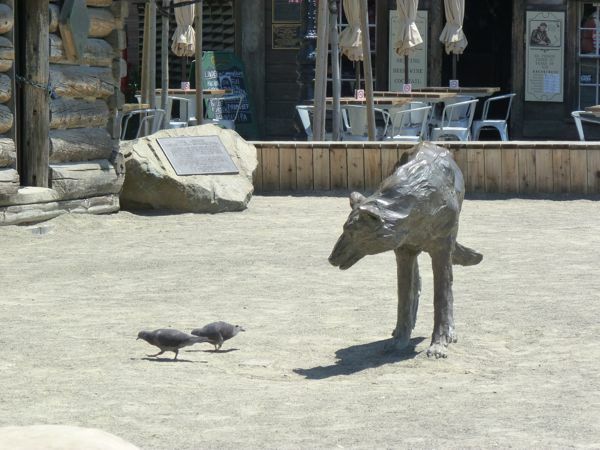 There was also a metal statue of a wolf/dog, like those in many of London's stories, such as "Call of the Wild." 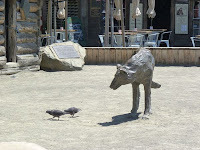 This wolf statue happened to be gazing down at a few (live) pigeons; although there was not much he could do to them being in frozen form.